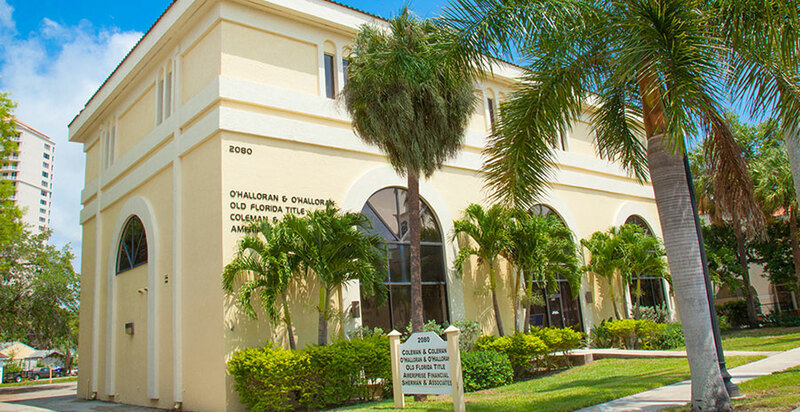 Fort Myers Criminal, Civil and Probate Litigation Attorneys | Coleman & Coleman P.A. When conflict arises, turn to veteran trial lawyers who have the experience and strength to handle difficult, complex litigation matters. We are proficient in all aspects of dispute resolution and are licensed to practice in state and federal trial and appellate courts. Time after time, our senior partners have proven that they’re formidable, thorough and well-prepared to take on complicated litigation matters. Contract dispute arising from breach of contract, landlord and tenant issue, foreclosure, agent and principal dispute, or employment contracts. Business disputes emanating between business partners, corporate colleagues, violation of trade secret laws, and enforcement and defense of noncompete agreements. Business organization disputes that can crop up during the formation of partnerships or corporations, registering a limited liability company (LLC), as well as labor and collective bargaining differences. Real estate disputes that can develop between a buyer and seller of real property and involving secured transactions. Injunctions to stop an activity that may cause you harm. Coleman & Coleman’s experience and broad knowledge can make a world of difference in results. Florida felony charges, such as homicide and manslaughter, drug possession or sale, property crimes, theft, and violation of probation cases. Florida misdemeanor charges sometimes related to drug possession, or battery and theft crimes. Florida criminal traffic infractions, involving traffic tickets for driving under the influence (DUI), reckless driving, leaving the scene of an accident, or driving on a suspended license. Federal criminal defense cases typically involve the possession and sale of drugs or other controlled substances, mail, wire or mortgage fraud, or conspiracy. Domestic violence defense often includes assault or other allegations. If you have been charged with a crime, your best defense is to choose a good criminal defense attorney who has the experience and tenacity to aggressively pursue the justice you deserve. Litigation can sometimes be appropriate and even inevitable in family law disputes. If you’re contemplating divorce or have complex family issues, you will want to talk with a highly respected firm with decades of litigation experience. We will aggressively seek justice for you, yet try to find common ground and ways to amicably and fairly resolve your differences short of litigation so that you can begin the healing process and move on with your life. Each case is different. You deserve the kind of counsel that will put your own best interests first. We help you evaluate your options and choose the best course of action to take in protecting your legal rights. Professional license matters such as attorney discipline cases, insurance agents’ licenses, teachers’ and professors’ licenses, and business or occupational licenses. Federal license issues often related to the Federal Aviation Administration (FAA) or maritime licensing. Employment discipline and termination matters often on behalf of public employees and union members. Drivers’ license proceedings, such as suspension, revocation, and habitual offender charges. We have extensive experience litigating on behalf of and against public entities in Southwest Florida. We can help you understand your options and pursue your rights.